I discovered this great graphic on Alice Keeler's awesome blog site - Teacher Tech the other day. 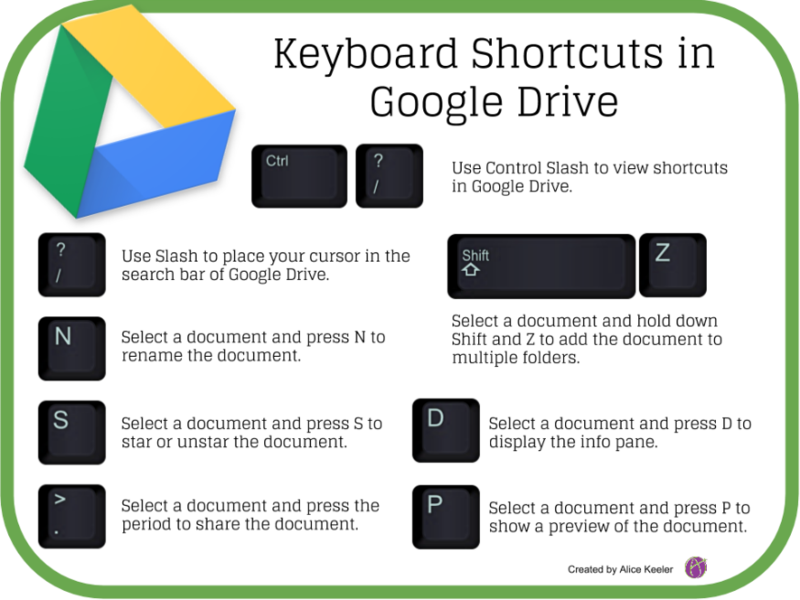 It provides a quick shortcut reference for anyone who spends a lot of time working in Google Drive. Click the image below to copy and print out the poster.